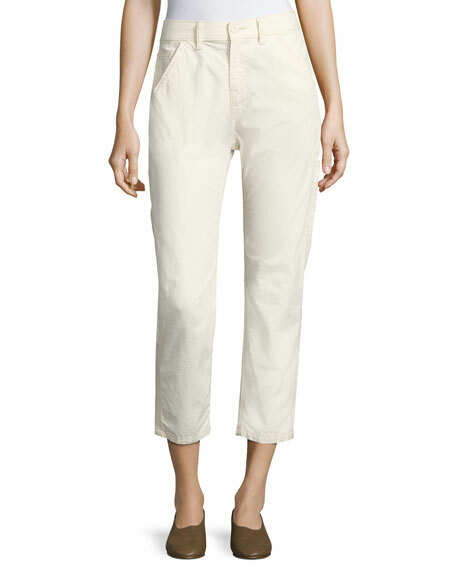 Vince "Carpenter" utility-style pants in cotton. Diagonal front pockets; back patch pockets. 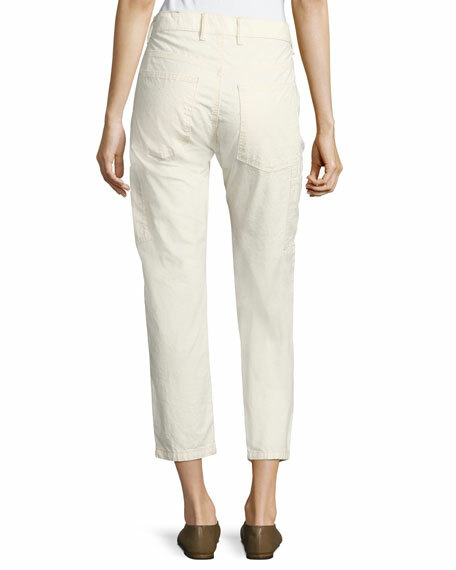 Mid-rise sits below natural waist. For in-store inquiries, use sku #2208531.